Item # 316139 Stash Points: 2,995 (?) This is the number of points you get in The Zumiez Stash for purchasing this item. Stash points are redeemable for exclusive rewards only available to Zumiez Stash members. To redeem your points check out the rewards catalog on thestash.zumiez.com. 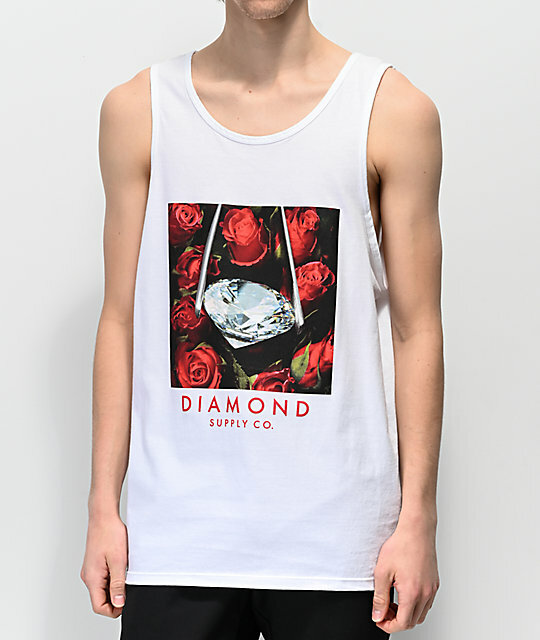 Discover a diamond in the rough with the Roses White Tank Top from Diamond Supply Co. Featuring a large graphic of a diamond being extracted out of a bouquet of roses, this comfortable, all-cotton tank is the perfect way to flash some flair. 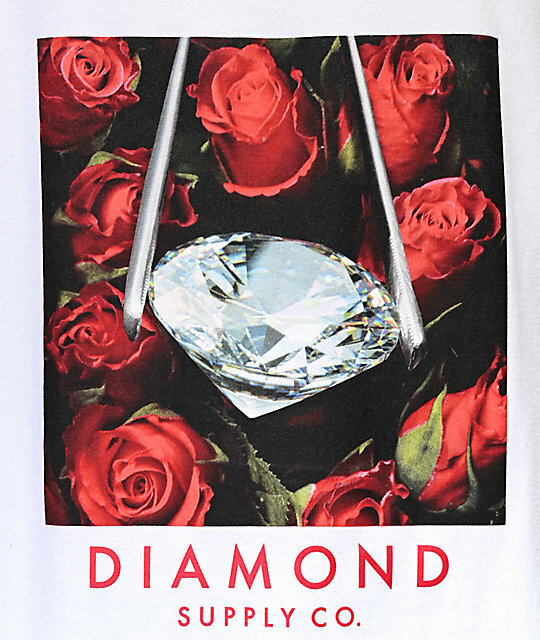 Roses White Tank Top from Diamond Supply Co.
Screen-printed graphic on the chest.